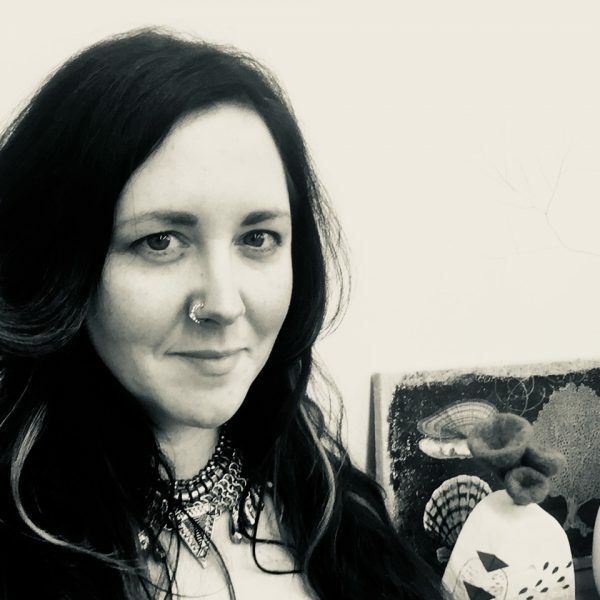 Always being creative as a child, Christina Norberg didn’t have a true understanding that being an artist could be a real career until she landed in the fine art program of Kwantlen University College in 1993. After being nurtured there, and a brief time studying at the School of Contemporary Art at Simon Fraser University in 1998, she was on her way, and never looked back. Norberg’s work has been exhibited across Canada, and in 2013, she had her first international exhibition in Bologna, Italy. I use fibre art, painting, sculpture, and adornment to explore my hopes and dreams for myself and the world. Each medium comes with its own inherent limitations, so I find it deeply satisfying to dig into one medium for a while, and then take what I’ve learned or discovered and put it into another. Working in this way, my artwork is continually expanding, with a thread connecting it all. Adornment – This is the newest medium for me to add to my toolbox. I have always loved to wear handmade jewelry and accessories by local artisans. Adornment is a way that I express myself, so it makes perfect sense for me to use this as a new medium for my work. Creating wearable art feels a bit like coming home.